Useful for neuronal tract tracing studies of up to five days. Spectrally compatible with NeuroVue® Maroon, Orange & Red. 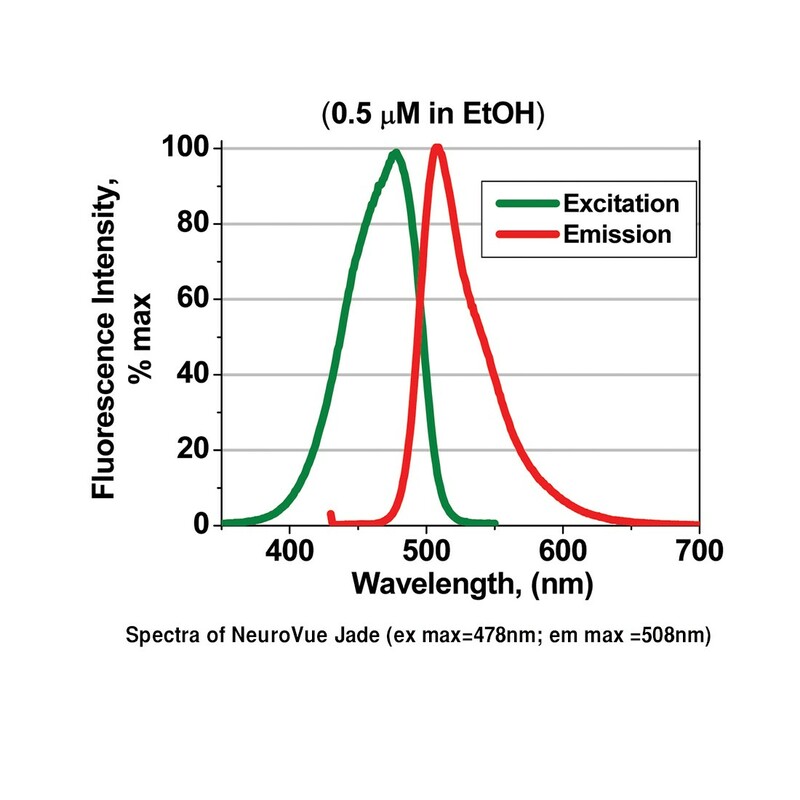 1cm² nylon filter coated with the lipophilic green emitting dye, NeuroVue® Jade. Typical dye loading: 22-30 nmoles/mm2. Sold under sublicense from PTI Research, Inc. to MTTI . NeuroVue® is a trademark of PTI Research, Inc. For patents, see link.